Even though Oktoberfest in Germany ended earlier this month, it’s not too late to celebrate with beer and brats here in the States! That’s right, folks — contrary to popular belief, traditional Oktoberfest does not wait until October to begin. This annual sixteen-day festival runs from late September to the first week of October each year, though Oktoberfest events in the States (or at least here in Southern California) run throughout the 10th month of the year. I love holidays, so one night after work, I decided to surprise Martin with a festive batch of beer braised bratwurst accompanied by seasonal pumpkin ales. This recipe is a great way to prepare your favorite store-bought brand of bratwurst (or, I suppose, “bratwurst-style sausages,” to be all-inclusive). We’re not quite skilled nor equipped for stuffing our own force-meat at home, so a quick stop at a local butcher shop or grocery store is in order. 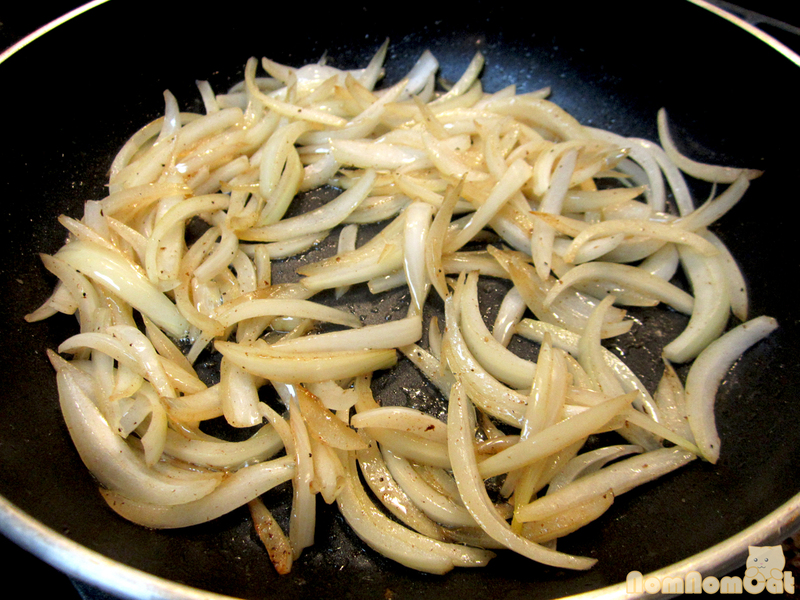 While you’re there, grab a six-pack of your favorite brew along with a good-sized white or sweet onion. I served ours over a bed of mashed potatoes with a dollop of apple slaw, though you are welcome to whip up more traditional potato pancakes, sauerkraut, or a cabbage-based slaw. 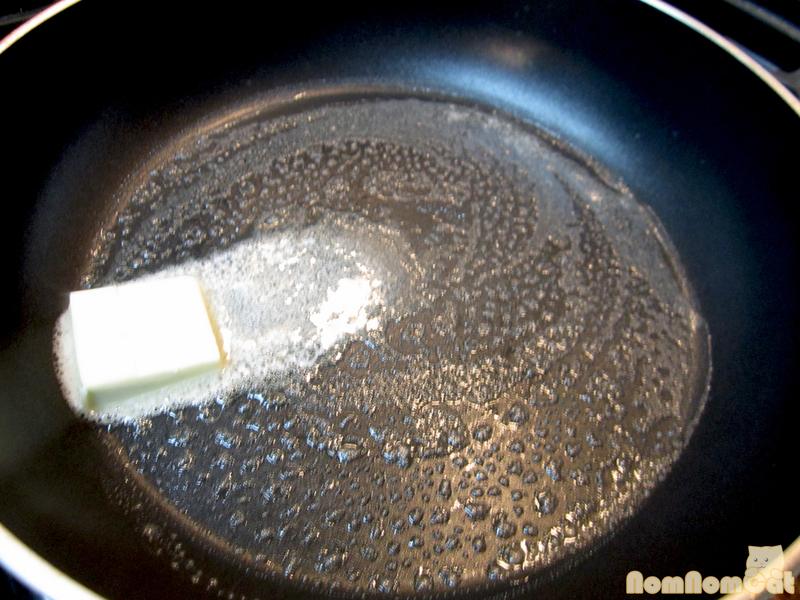 Step 1: Melt the butter in a large skillet. Step 2: Brown the sausages on all sides, getting a nice dark sear. Remove from the pan and set aside. 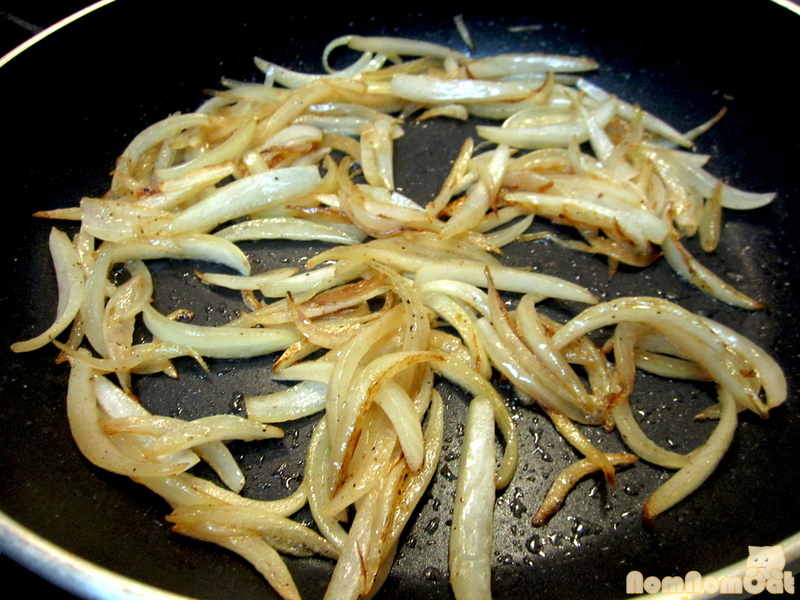 Step 3: In the buttery, fatty goodness, saute the onions. Season with salt and pepper. Step 4: After about 5-10 minutes, they should have wilted like this. 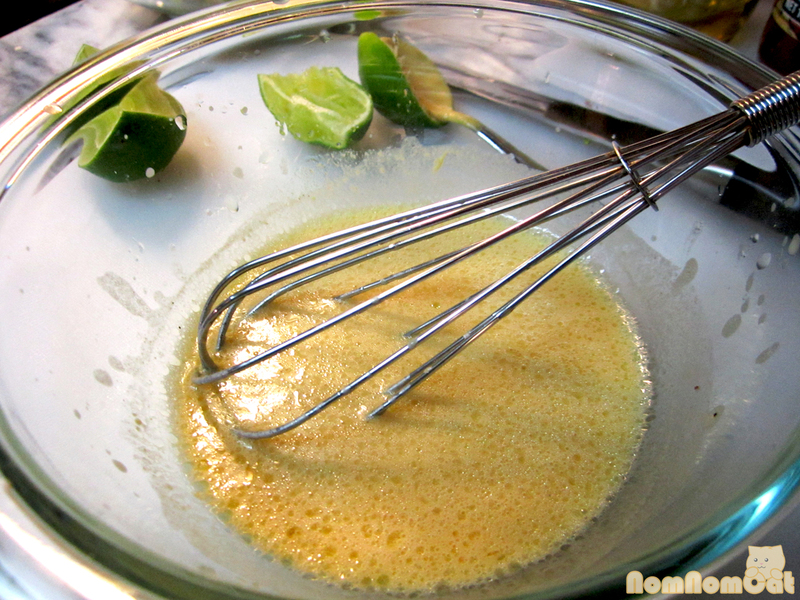 Sprinkle with a bit of granulated sugar (to help with the caramelization). 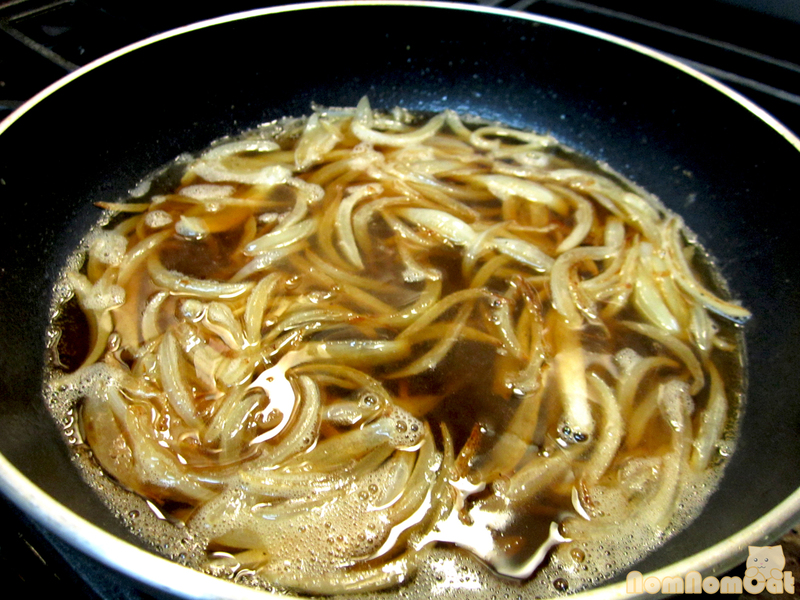 Continue to saute for a few more minutes. Step 5: Pour in the beer and bring to a simmer. 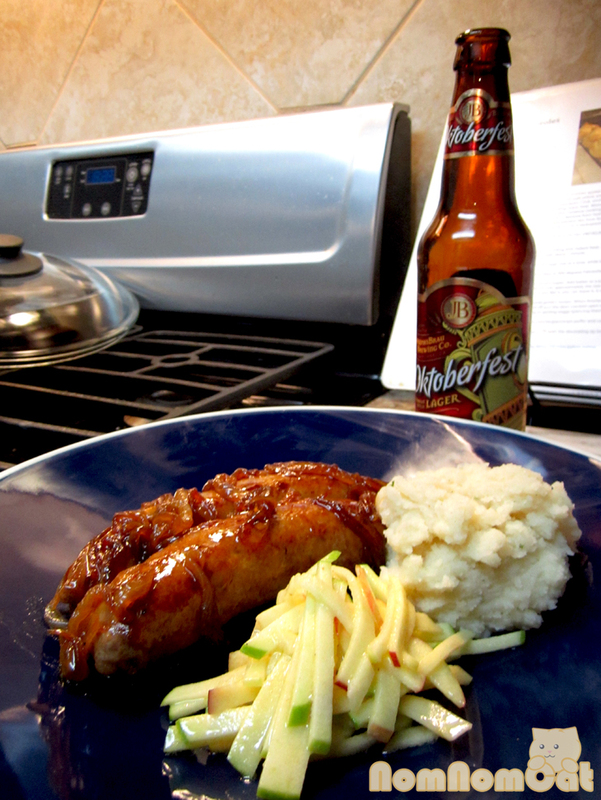 Add in the bratwurst and continue cooking until the beer has reduced to a glaze-like sauce. If needed, sprinkle in a bit of brown sugar to combat any bitterness from the beer. 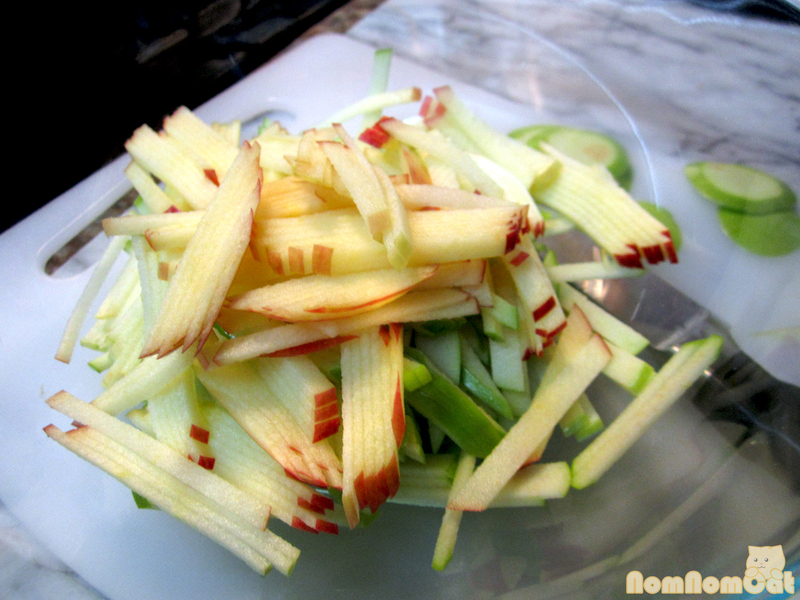 During this stage, prepare the apple salad or any side dishes. 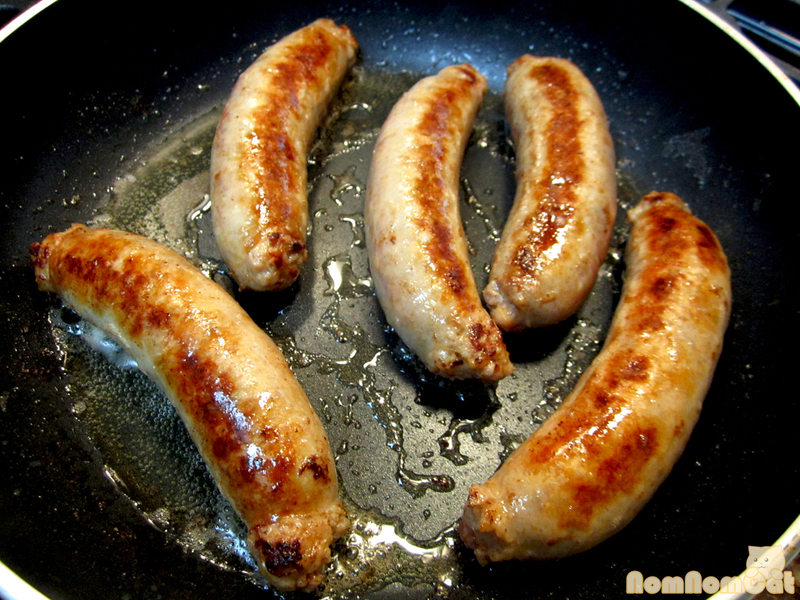 Step 6: By the time the beer becomes glaze, the sausages will have cooked for anywhere from 20-30 minutes. Remove one and insert a meat thermometer, ensuring that the internal temperature reaches at least 165 degrees. Once you’re there, it’s good to go! 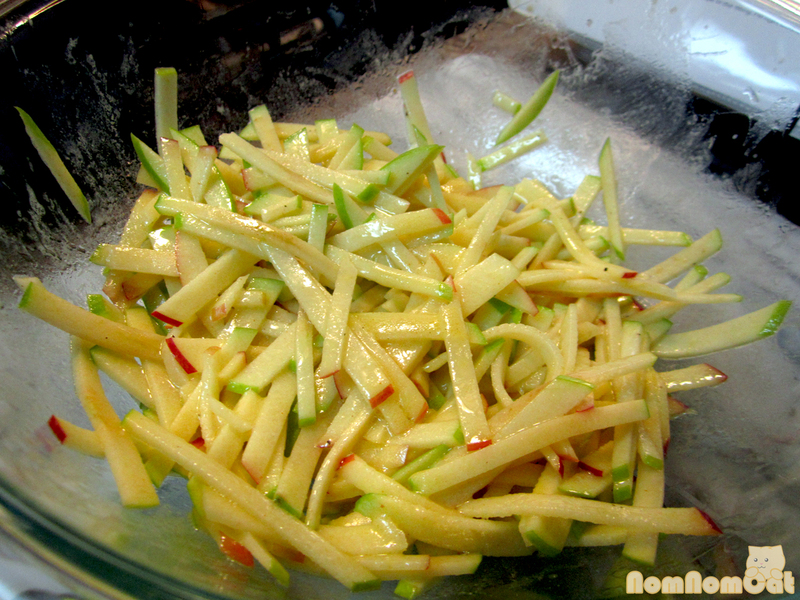 For our side dish, I whipped up a quick apple-based slaw. I forgot the honey my first time around so it turned out way too acidic… I won’t be making that mistake again any time soon! 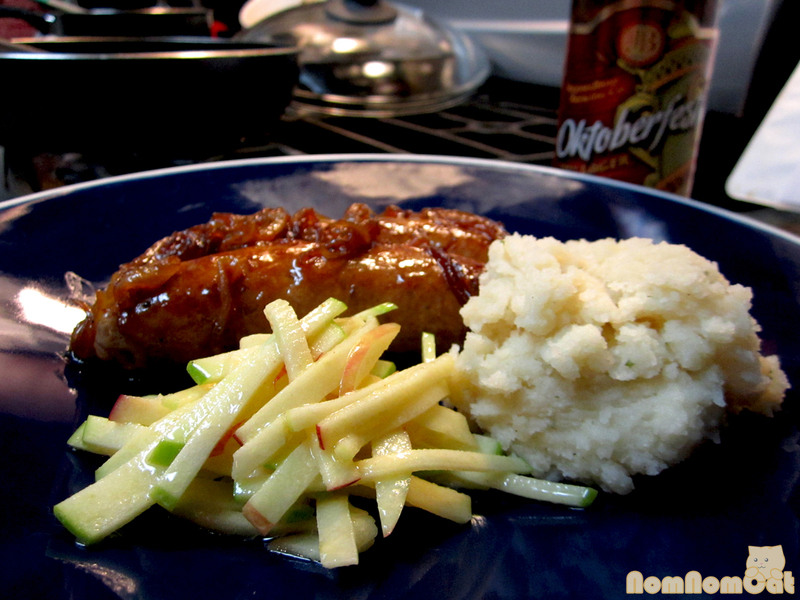 The recipe above should yield a balanced, sweet & sour salad perfect for the savory sausages. 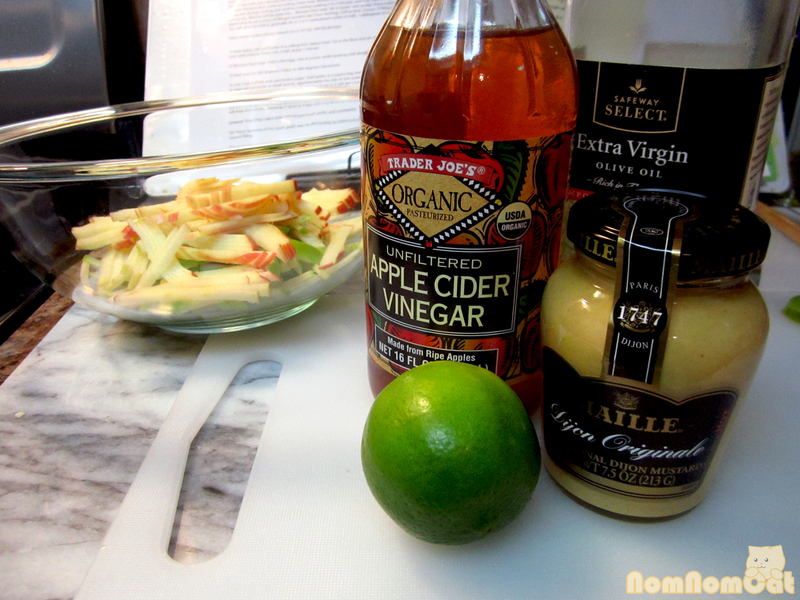 To prepare the apple salad, whisk together the dressing ingredients, starting with the mustard, vinegar, lime juice, and honey and then drizzling in the oil until well emulsified. 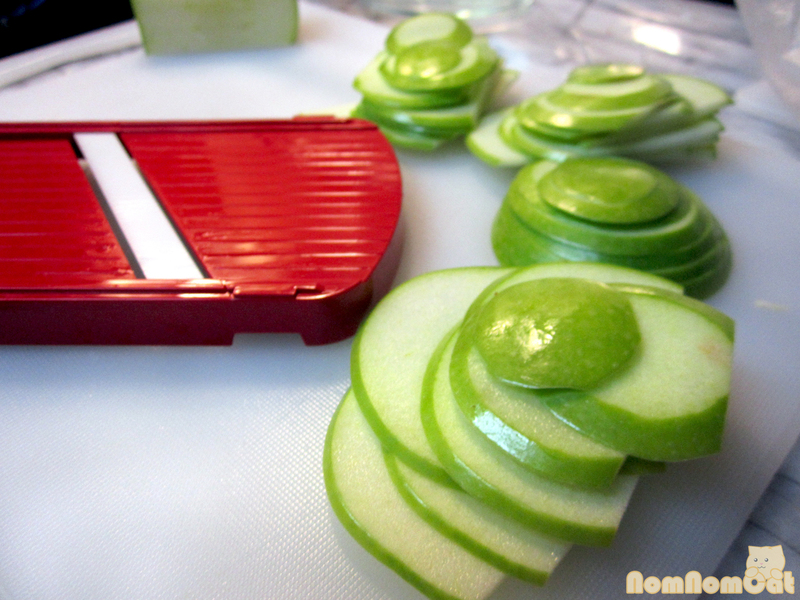 Julienne the apples — if you have a mandoline, slice on the thickest setting and then cut the slices into strips. Toss in the dressing until well coated. Season with salt. Let chill in the refrigerator until ready to serve. Ready to drink and devour. Prost! 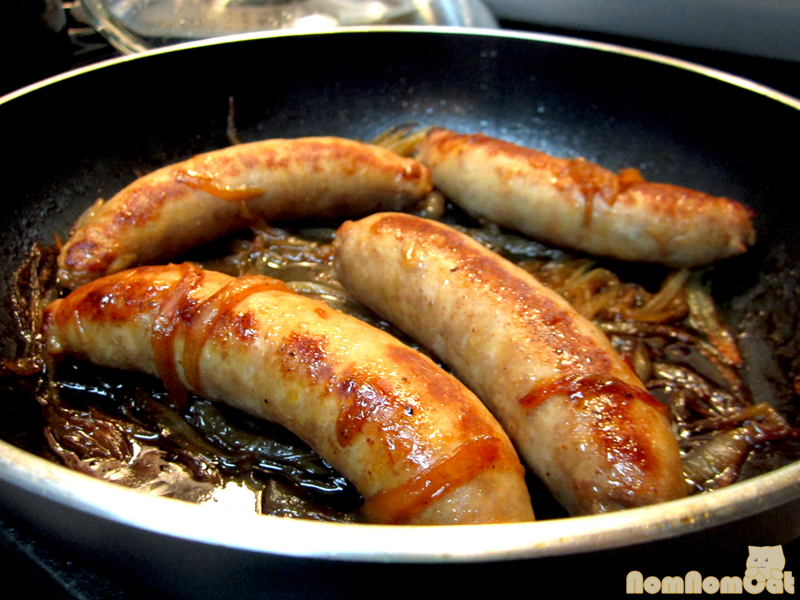 We served two sausages per person for a hearty dinner that paired perfectly with my Sam Adams Octoberfest and Martin’s Hoegaarden. It took a bit longer than anticipated for a weeknight dinner (mostly because I’m paranoid about cooking pork and really wanted those sausages to simmer in the brew for a long time) but for an hour’s work, we ended up with a deliciously festive meal. So try it out, raise your glass, and Prost! Lovely! Especially the crisp apple slaw. Haha. I LOVE THIS story. I bet a lot of mom’s out there can relate – picking up the apples while also buying paper towels – and needing a bit of inspiration. Nice! :-) Take care! 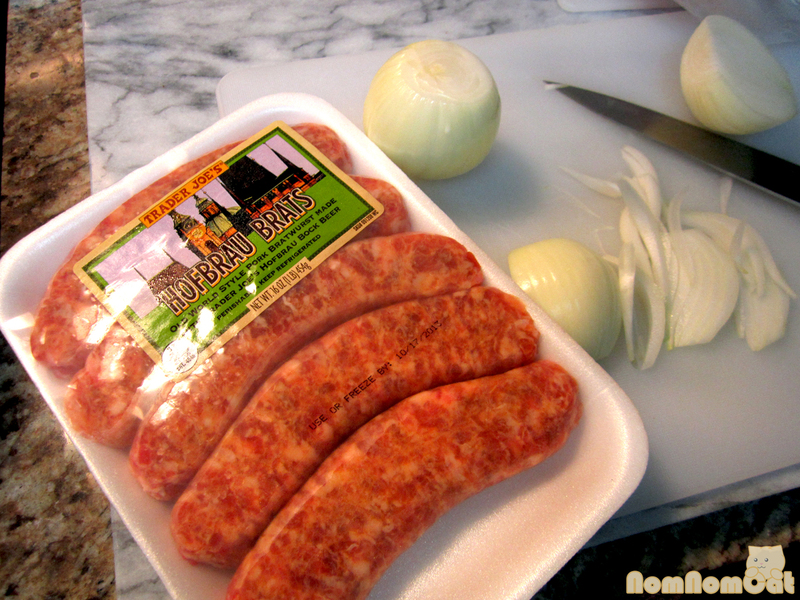 It looks wonderful with your bratwurst!